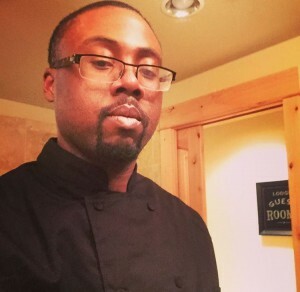 Kenneth James may be a personal chef to Damian Lillard, but he’s a role model to us at Bradley Angle. When Kenneth isn’t preparing top notch meals for NBA stars he is donating his time at Bonnie Tinker House, our emergency shelter for domestic violence survivors. He teaches beginner cooking classes for the kids at shelter and occasionally prepares the house a delicious meal. What a way to get their minds off of everything else! Most recently, Chef James prepared an amazing meal for the Fourth of July. This has kick-started our newest program to get involved at our shelter: The Adopt-A-Holiday Program. Each holiday now has the opportunity to be adopted by a family, company or community member. Do you want to make a difference for families at shelter? Adopt-A-Holiday today! Bradley Angle is happy to have Chef James as a part of our team. Thank you for your commitment to Bradley Angle!